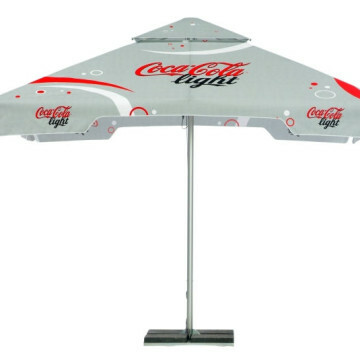 Our Aluminium Promotional Parasols comprise of a lightweight, rust-proof white aluminium shaft and ribs. 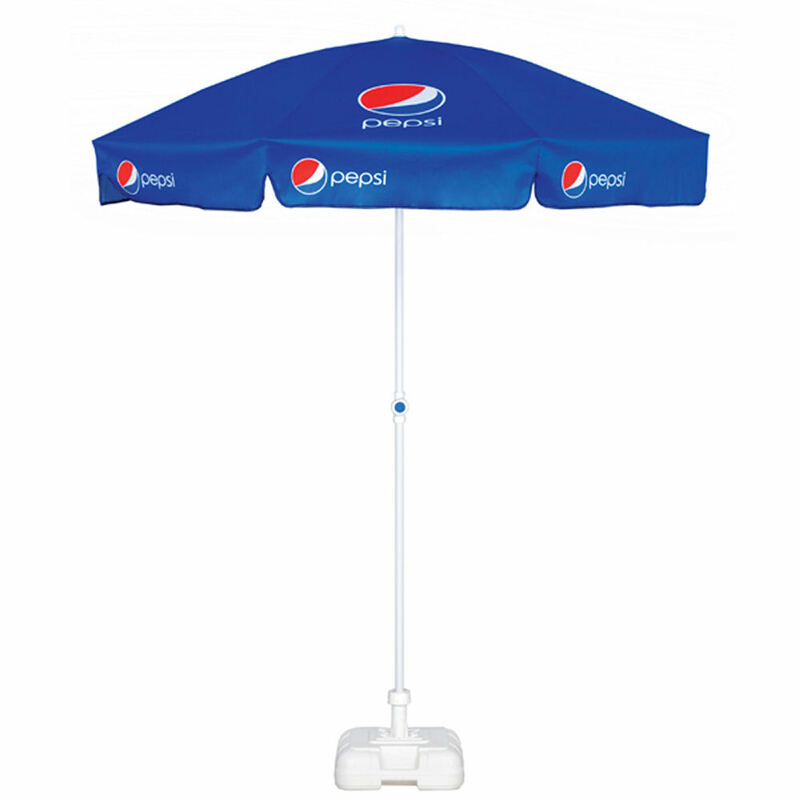 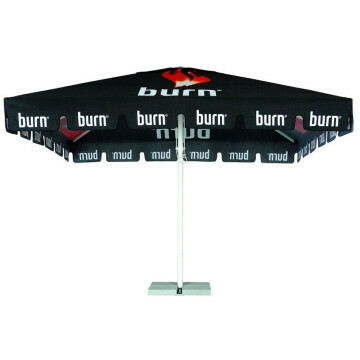 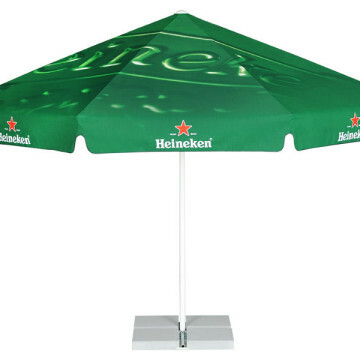 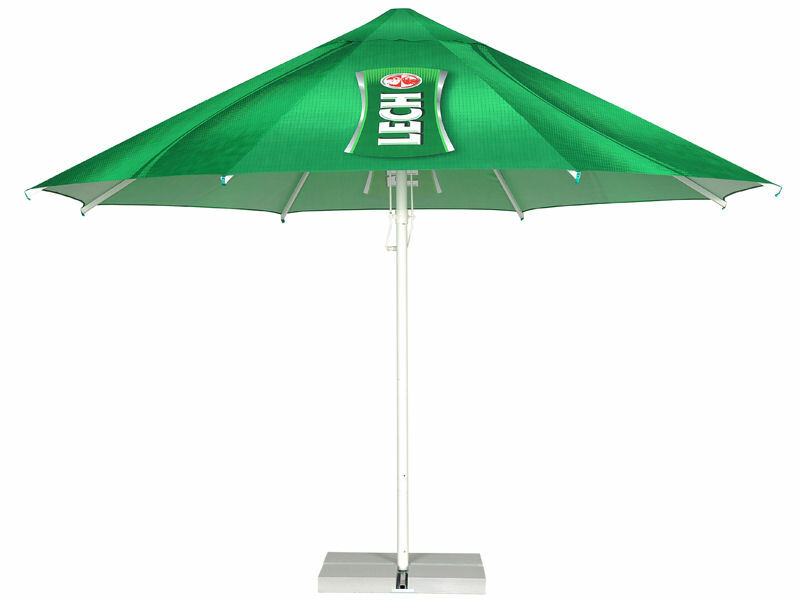 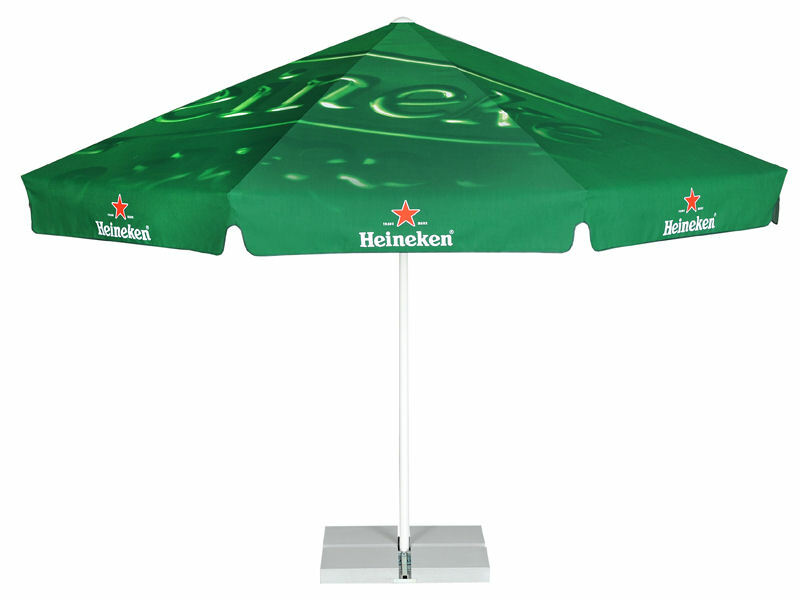 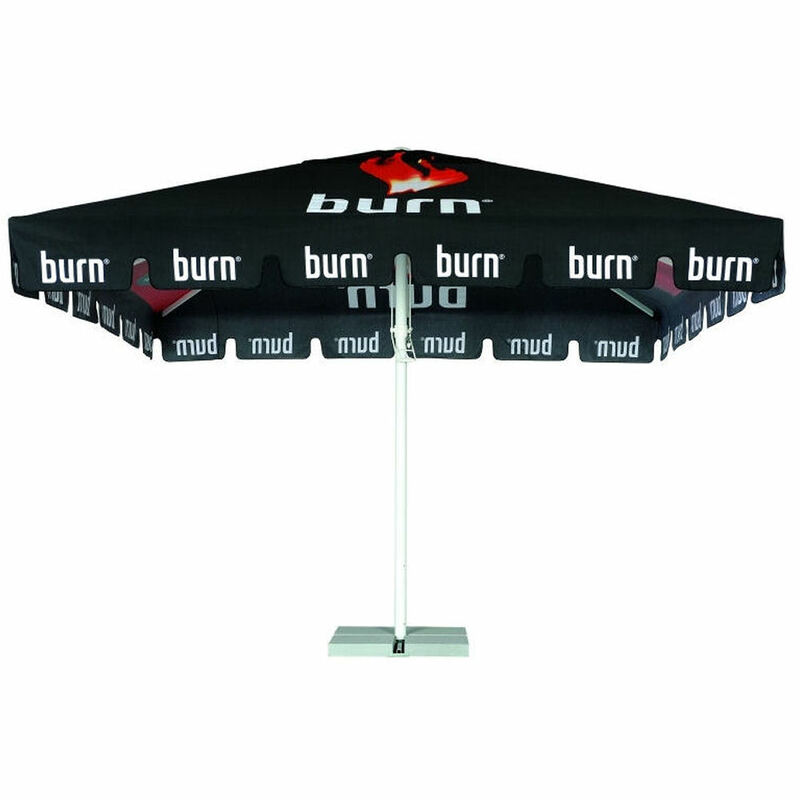 These printed parasols come in a range of sizes and as a result are a great flexible solution. 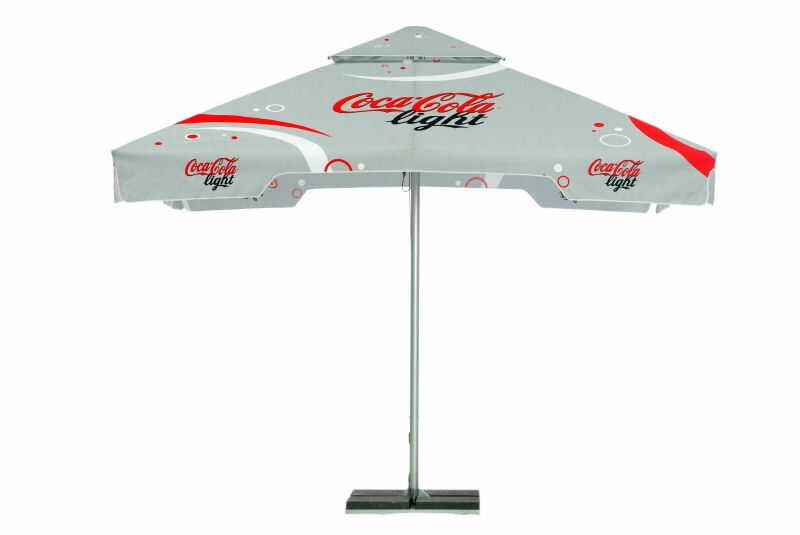 You can opt for a contemporary square parasol with 4 printable panels or a round canopy with 8 panels, furthermore with an optional valance. 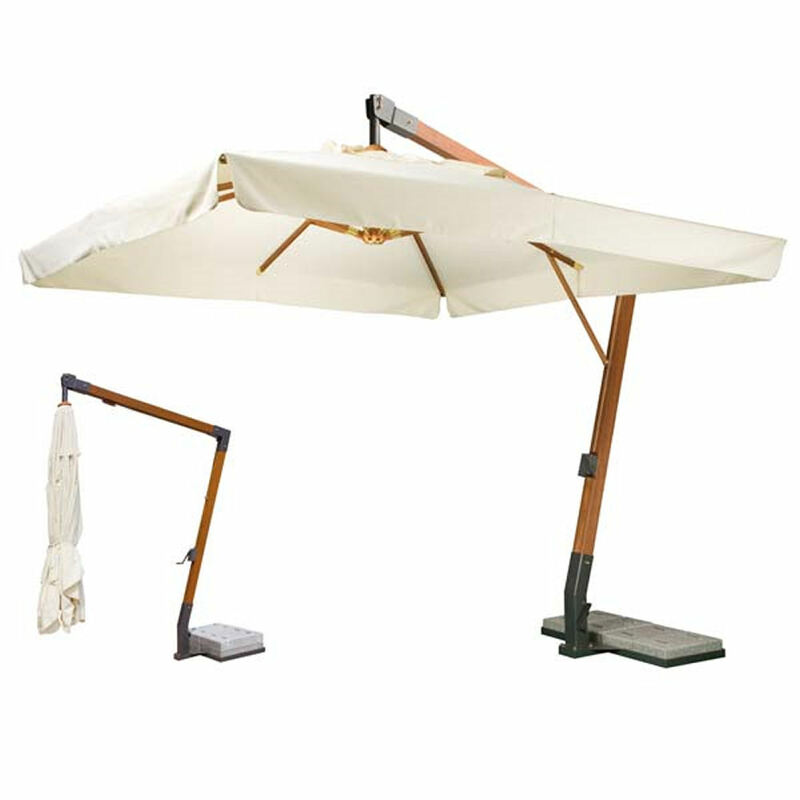 The aluminium cental pole and ribs are powder coated in white for added longevity and a modern look. 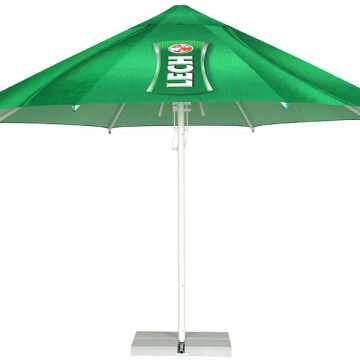 The whole parasol is corrosion resistant and is easy to transport and carry as it is lightweight. 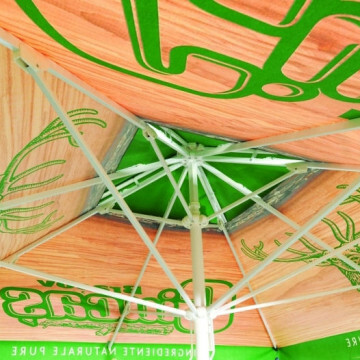 The canopy opens and closes through a simple but easy to use sturdy pulley system. 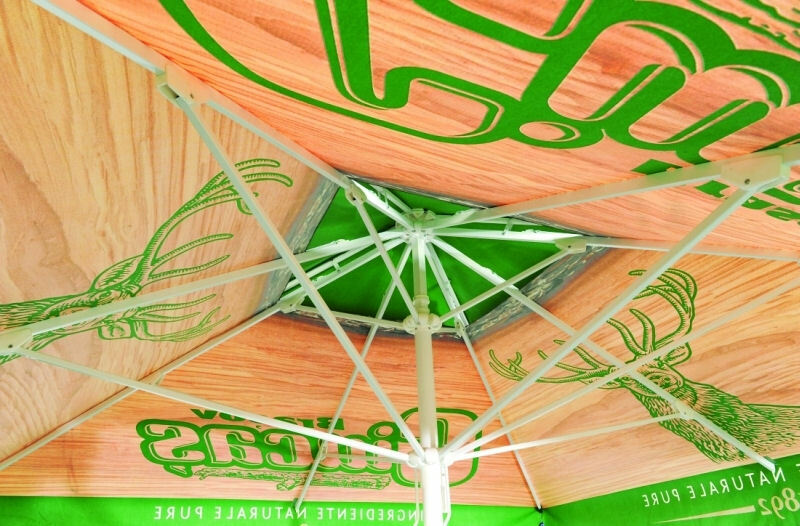 Easy to use sturdy pulley system.